This is the last segment of a three-part series exploring Zwift racing’s challenges and opportunities. Part one focused on spectating, part two on broadcasting, and now we’ll take a look at the actual race participants. I’ve broken this into two posts because there are so many challenges and opportunities for Zwift racers today. In this post we’ll focus on getting Zwift set up, making race entry and results work smoothly, and mitigating cheating. In a follow-up post we’ll focus on the actual racing experience (team dynamics, pack dynamics, etc). For many cyclists, Zwift is still too difficult to set up and use. While a tech guy like me loves the wide variety of platforms Zwift runs on (PC/Mac/iOS/AppleTV and soon Android) and the variety of cycling hardware it supports, all these options confuse newbies. On top of that, racing on Zwift requires even more setup, namely getting an account activated on ZwiftPower and making sure you join the right category when it’s time to race. Accomplishing these tasks isn’t easy or straightforward for a Zwift rookie. As much as it pains me to say, Zwift needs to take a page out of Peloton’s playbook. Or maybe Apple’s. Create a simple hardware-based solution anyone can buy, plug in, and be up and running on Zwift quickly. Yes, continue to support a wide variety of platforms and trainers, but create a dead-simple solution which is sold on Zwift.com. On the software side, Zwift’s user interface could be streamlined and various bugs could be fixed, all in the name of making the experience more pleasing to new users. And as much as I appreciate ZwiftPower (it’s what makes Zwift racing really work), we need a simpler solution for viewing/managing race results. There shouldn’t be a need to register at another website, or to go anywhere but Zwift Companion or Zwift.com to view race results. Bring that ZwiftPower functionality in-house and streamline it, ZwiftHQ! Neither of these situations needs to exist. There’s a big opportunity here for Zwift to create a methodology which classifies riders automatically. It could be as simple as implementing what ZwiftPower already does, which is tracking a rider’s 20-minute critical power and categorizing them based on their 3 best performances in the last 90 days. It could be as complex as CVR’s intricate results-based scheme from early 2017. Or something in between. If a rider is new, only allow participation in “open” races until they’ve established enough of a history for classification. Organizers could still hold “open” (no category) races if they’d like, but the standard race setup would follow the default Zwift categorization scheme, and riders would be automatically placed in the appropriate category. Simples. Zwift Companion shows race results, but those results are very different from what ZwiftPower shows. Why? Because thanks to GDPR ZwiftPower can only display riders with a ZwiftPower account. Many Zwifters don’t have a ZwiftPower account. Because race organizers can modify results on ZwiftPower, whereas they have no control over the results shown in Zwift Companion. Serious Zwift racers know that the real results live on ZwiftPower. But many Zwifters race regularly and have never created a ZwiftPower account, which means the number of results on ZwiftPower is always lower than what you experienced in-game. Here’s a sample of results from a race I did this week. (The screenshot is ZwiftPower, the phone is Zwift Companion.) 24 riders finished according to Zwift Companion. But only 13 show up on the official ZwiftPower results. Did I get 6th or 10th? Depends on who you ask! Opportunity: Deliver Immediate Results. Beat IRL. 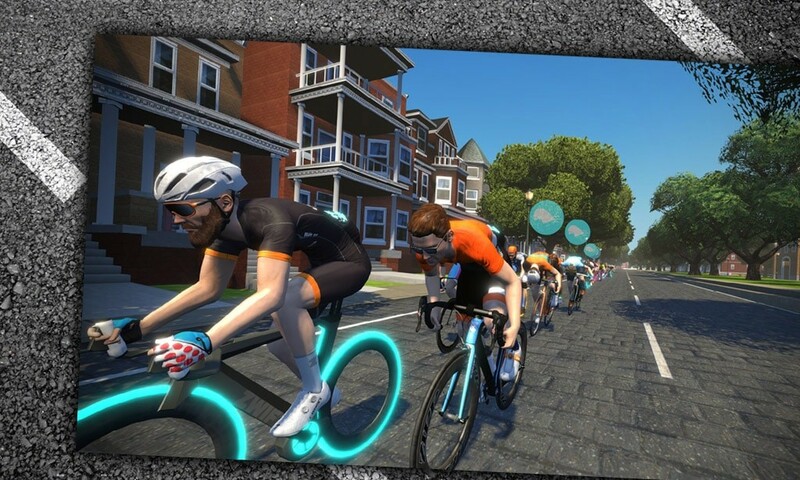 Coupled with requiring riders to enter races in the correct category, Zwift could display much more accurate race results in-game and on Zwift Companion immediately after the event. As a next step, perhaps Zwift would need to create an interface for race organizers to further alter and finalize those results. But I think automated controls are the way forward, and the way for Zwift to protect itself and the race organizers. This sort of solution would actually be better than what we get outdoors, where we finish a race and have to sit around in our sweaty chamois waiting for officials to finalize results. Cross the line, see the results, go eat breakfast. What a time to be alive! The Biggest Loser: enter a lower weight, climb and accelerate faster. The Shrinky Dink: enter a lower height, get less air resistance: go faster. The Watt Assist: ride a miscalibrated power meter/smart trainer and get watts you aren’t giving. It’s worth noting that the sorts of cheating outdoor cycling famously deals with aren’t even on the list of common Zwift cheats. While “outdoor cheating methods” have certainly been used on Zwift, it’s much too easy to cheat using weight/height/watts. Nobody is even paying attention to banned substances! To date, Zwift has tried to mitigate cheating by holding real-world finals and (recently) bringing ZADA back to life to verify performances of top Zwift-sponsored races. These methods are smart and get the job done, but they are very resource-intensive. Which means they aren’t scalable. Make Weight and Height Public: maybe if you want to race, you’ll need to accept that people will be able to see your profile’s weight and height history. This would stop much of the tomfoolery we see now. Improve Calibration Tech: surely there is a calibration technology/methodology that would be difficult to game. Perhaps it’s done automatically during a ride at random times, or perhaps the device simply never needs calibration, like the blessed Tacx Neo. We shouldn’t be able to game calibration at this point, hardware manufacturers! Fix it! Partner with Governing Bodies: if a rider is a registered USA Cycling Cat 2 road racer, I can believe them holding of 4.0 watts per kilo in a Zwift race. What’s that? You say they’re only a cat 5, with 2 outdoor races to their name? Hmmm… might want to check that. Show Avatar Weight and Height: avatars on Zwift don’t accurately reflect your profile’s weight and height. Making avatars which match the actual weight and height of a profile would make it pretty easy to spot those who are way out of bounds–and it would add nice visual variety to the peloton. Strava Cruncher: if heart rate monitors were required for races and Strava data could be automatically pulled from outdoor efforts, Zwift could crunch numbers and automagically decide if a rider’s Zwift performance matches what they can do outdoors. Verification in the cloud. Create Verification Methods: create different ways for riders to be verified, like having them complete a sanctioned test at their local bike shop, linking up their cycling license, automatically analyzing their outdoor Strava data, etc. This wouldn’t verify every result, but it would provide much-needed verification of a rider’s abilities, even a “reputation score.” If the verification methods were simple enough, certain Zwift races could begin to require verification as a condition of participation. Obviously, there is no quick solution to solve the cheating problem. But a variety of methods could be smartly employed to knock cheating down significantly. Zwift has the opportunity here to innovate in a groundbreaking way. If they can create automated verification methodologies/technologies which can reliably verify race performances, everyone wins. Racers will have a better time, and Zwift racing will receive a welcome reputation boost. There is much to be done if Zwift wants cyclists to embrace its eRacing vision en masse. The entire system needs to be simplified on the frontend (signing up, race results, etc) while growing more powerful on the backend (performance verification, event/results management). This is no small task, but Zwift has two things in its favor: a strong community with lots of Zwift racing experience, and a good chunk of working capital to fund development. Zwift has certainly grown more focused on eRacing in recent months, but it will take at least several more months of strong focus to develop a platform which racers can truly embrace. I’m looking forward to seeing how things progress this year. Watch for the follow-up to this post, continuing the discussion of challenges and opportunities for riders. We’ll dig into the actual game experience: pack dynamics, team tactics, routes, gamification, etc. So much more to discuss! I’d love to hear your thoughts on the challenges and opportunities Zwift racing holds for riders today, especially related to my points above. Share below! PreviousIs this the new Watopia Flat Expansion? Personally I think Zwift has a long way to go before it can be a serious racing platform. There are just too many variables that can be manipulated. That being said, I do race and I do enjoy doing so but I take the results with a pinch of salt and know that the only results I can really compare are my own. Totally agreed! I saved the discussion of game mechanics for the follow up post to this one. I think a hardware solution is needed. It would not only address the technical hurdle, but could address some of the cheating ones too. It would also force Zwift to take ownership of technical problems. As it stands now they have an intricate support system in place that largely blames the user and the user’s hardware for nearly every glitch, but provides no real path to fix the issues. Not all glitches are BT/Ant interference, and most users have no tools to fix it even if it is. The suggestion of a zwift branded hardware/trainer is enevitable, and is a huge feat of the trainer brands. It is a delicate balance for now as zwift needs the trainer market to grow… bit once it grows enough, it could easily swallow it up. This is why many brands are worki g hard to build competators. You nailed in on all points. I worry that some of that would be hard and could get in the way of one of the barriers to Zwifting (ease of setup). I once entered a race super pumped to actually hold on to the lead group and made the rookie mistake of trying to comment (on my phone through the companion app) about some bit of chatter and before I knew it I had dropped 50w and was watching the front group drift away from me! I could totally see a system where there was some sort of “controller” that could be overlaid on the handlebars to move you around in the peleton etc. Great comments above. I like the idea of a required classification system, but unclassified riders with no history shouldn’t be required to do a set number of open races before being allowed to race in the proper category. Forcing new Zwifters who are properly C/D (even B) into open races before they can race the proper category only ensures they’ll permanently quit Zwift races. A required FTP test should be sufficient, and then your category can be updated from there based on results in races based on that FTP test. I think Zwift and Cycleops need to get together and talk. There’s a market for a high end smart trainer that connects to Zwift via USB (It would still have ANT+ and Bluetooth). That would end the dropouts issue using ANT+ or Bluetooth plus hopefully provide quicker response. Make the trainer highly accurate and give it some unique function that no one else can provide and they would be on to a winner. The trainer could then be used as a Zwift approved trainer for E-Sports. Don’t forget the difficulty bar setting variances too. Until there’s a foolproof way to guarantee power numbers and equivalent setups, I don’t think you can ever have unsupervised, legit racing. I confess, I was crushing A level inappropriately. But I’m an elite-level runner, have done training rides with local bike race team and had a full smart trainer so I thought maybe I could hang. But when that trainer broke and I got a Wahoo, I was given a hard dose of reality! I’m probably a D. That’s how much of a difference setups can make . I’m an active racer and participate in many of the big “races” every week. I frequently see questionable results. I would say zwift racing results and numbers are only about 95% believable to me, but this does not bother me. I race for fitness, pushing my own limits, and for the friendly competition. Hopefully eRacing results will incrementally become more accurate over time with technological controls and improvements, but it is currently in a state where I cannot take it too seriously. I do it because it’s a lot of fun and safe — I’ve had a couple of serious crashes in the past year. While there are plenty of bad numbers in any sizable event, I do not believe we should categorize these problems as cheating as a whole. I think most eRacers with incorrect number do not do this intentionally, and perhaps just have suspicions on their performances in the worst cases, and look the other way. I do not think a single test and certification is sufficient, competing fairly is an ongoing process. I personally record most of my races from two power sources and compare my averages for various durations to make sure I’m being honest with myself, and competing as fairly as reasonably possible. A trainer power source’s accuracy can go south from one ride to the next, even for the strongest riders. I’m seeing more and more of the top A+ riders publishing their comparable power data and I think that’s great. Not a “need”, but a nice to have. This and generally making the physics closer to IRL, would likely require a good amount of development work to make it work right. Cornering, braking (descending?) would require interfacing with new hardware. That takes time and only appeals to a subset of racers. Also, the skills required to master these are closer to those needed to play a video game and do no match the skills to do these things well, in real life. I would put just about everything Eric mentioned in the post as higher priority than this. @G, so far it may be only nice to have but the first platform which will nail it may quickly remove Zwift from preferred e-sports app of choice pole position. Veloton is the first “threat” that comes to my mind. Hence I phrased it as “immediate need”. Zwift is too one-dimensional as it is right now in my opinion. Being good in game or sport should require mastering additional skills, besides physical abilities. Totally agree on the streamlining of things! I do the odd bit of racing on Zwift, but I am not registering on ZwiftPower just to do so. Yes ZP do a great job but it shouldn’t need to exist. I check my results as they flash up on screen and that’s enough for me. That’s how easy it SHOULD be. Auto-category-assign based on previous 20-min power data is an interesting idea. You could be onto something! For me Zwift and ZwiftPower connection has always seemed weird. Zwift own all data but doesn’t show it. As far as I know even KSL commentators have Zwiftpower page opened during a race because Zwift doesn’t show all needed information. And I am not sure that Zwift is motivated to implement any real anti cheating software. I mean the one which will work for all categories of riders. Zwift wants more people to get involved in riding and racing (regardless of setup or cheating), Zwift doesn’t want to ban anyone or restrict anything. @John Hein If you are semi-casual racer then it doesn’t concern you. There surely still would be races for ‘fun’ racers, that wouldn’t require real life validation in bike shop, which I think is great idea. Such “racing license” would give access to more high level, controlled and troll free racing which is something many dream about. Why, when I hit reply to a posted comment, does it only appear at the bottom of the comments and not below the post I’m commenting on? I don’t know…. works for me. You have to hit “Reply” first, then enter your comment in the box that shows up.